Just in time for your New Fitness Goals, Nordictrack has launched the Commercial X22i. This latest version of the incredible X22i and now X32i Incline Trainer still has a daring incline range from -6% to 40% incline, a top speed up to 12 mph plus the ultra cool, hi-tech wide HD touchscreens powered by iFit coach. Workout at home — running in a trainer-led studio class or through stunning destinations you select from across the globe. What’s new and what makes this incline trainer unique is the ability to switch to manual mode and conduct a sled-push workout. You can get a total body exercise on your treadmill. The Commercial X22i design pushes you past just walking or running into HIIT resistance training as part of your treadmill regime. If your goal is to get fit, stay fit, or lose weight, this incline trainer is a piece of exercise equipment you should seriously consider. Here are some updated points you need to know about this versatile treadmill. To build leg power and explosive acceleration try sled training mode. The workout reproduces the feeling of pushing a sled on grass. Resistance is intense at the start and decreases to a constant rate as you pick up speed. This type of workout helps you develop good running mechanics and builds acceleration power. Your quads and hamstrings will burn — promise! To start your sled training grip the front up-right supports or push bar and use your own leg power to push the belt with speed set to 1 mph. This workout will strengthen your hamstrings and quads. The belt only moves when you forcefully push it with your legs. The sled push, which is an all-out, high-intensity exercise, requires simultaneous engagement from your back, glutes, hips, core, hamstrings, calves, triceps, and shoulders. Basically, it's an awesome total-body exercise. The Commercial X11i model has also been released with a more powerful motor, matching that of the X22i at 4.25 CHP, and a strengthened reinforced steel frame to support the Sled Push option. It features a 10 inch touchscreen and it’s a little less pricey than the Commercial X22i. Additionally the X15i Incline trainer was also released in January with a 14 inch touchscreen. Except for smaller screens both these models have all the same features as the X22i and X32i versions. 1-Year of iFit Membership is included with all models. The Commercial X22i is the top-of-the-line incline trainer from Nordictrack. The 22 inch screen offers workouts in rich brilliant color. The iFit trainers guide you through cross-body training and runs through exotic beautiful destinations like Thailand, Antarctica, Iceland, New Zealand and many, many more including U.S. locations. iFit trainers are world class with impeccable credentials and have celebrity + professional athletes as clients. Each trainer brings their own style and personality so you can pick and choose to match your goals and energy level. Their focus is to push you to deliver results by motivating and challenging. They definitely keep your interest and will not allow you to get bored with over 10,000 workouts to pick from. The Commercial X22i, X11i, and X15i support an incline range from +40% down to a negative -6% to burn calories and build strong leg muscles. All Commercial incline trainer versions ( the X32i, x22i, X11i and X15i ) have been engineered with a reinforced steel frame to support Sled Push training options you can perform on all models. The manual mode will add power strength and acceleration training options to your workouts. You will be able to push, bear crawl and build strength with sled training. Finally, as a top notch incline trainer, the commercial x22i is so effective for burning up to 5 times the calories in the same amount of time. You will be able to torch calories by adding incline walks and runs into your workouts. Exercising at an incline builds hip, hamstring and calf strength, and with a -6% decline you can simulate downhill terrains. As you run downhill your body falls forward. This works the glutes and hamstrings with the quads doing most of the work controlling momentum on the downhill portion. The Commercial X22i truly is versatile full workout machine with many options to build strong muscles and burn calories to help you get in shape. -6% to 40% for incline training and simulating uphill and downhill runs. Ability to run the actual route you will run in a race with Google maps for better training. A 22 inch HD touchscreen to fully take advantage of iFit trainer workouts. Launch studio classes and destination runs right from the console, world-class trainers can digitally adjust your speed, incline, and decline to match the terrain or class segment. The tread deck has two cushioning options to choose from. The first option allows you to soften the impact on your joints by engaging dampeners. Alternatively, the second option is designed to simulate real road-running which helps prepare for a race day or change up the feel. The Commercial X221 has a self-cooling 4.25 CHP DurX™ Commercial Plus Motor that will keep up with you even on your longest runs powering you through daily workouts, fast runs, distance runs, and will support multiple users. It comes with with a lifetime warranty. Top speed up to 12 MPH and OneTouch® Controls so you can easily adjust your cadence via speed and incline adjustment. ✓ 70.2” L x 39.6” W x 71.6” H Footprint. ✓ iFit Bluetooth® Chest Strap Included. ✓ It has a 300 Lb. User Capacity. ✓ There are EKG Grip Pulse on both handles. training. Learn more why iFit Coach is a Good thing with your equipment. ✓ Shipping is Free to your front door. 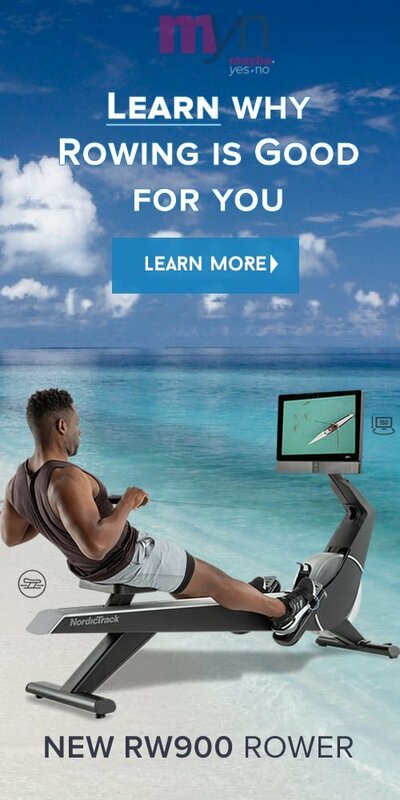 You can have the treadmill setup in the room of your choice for $249. Nice option to ease assembly and delivery. If you purchase in-home assembly for $249 it includes delivery in the room of choice, assembly of the machine, and making sure the machine is 100% functional and is ready for use. We recommend you purchase the assembly option to avoid unnecessary frustration if your’re not into DIY or do not have anyone handy to assist. If you want to assemble the Commercial X22i yourself, shipping is free. We would like to point out that the machine is heavy and requires two people to move it, so if you decide to build yourself, plan ahead and start installation in the room you wish it to be positioned. The best part of when you buy any incline trainer is that a 1 year iFit membership is included with your purchase. You get access to elite trainer led runs, workouts and studio classes on and off the tread — No more treks to the gym. You will find the best celebrity trainers and classes that can sync automatically to your equipment so you don’t have to manually adjust the incline, decline or speed, your coach does it for you. This is a Game Changer! Professional trainers are with you every step and give a heads up when they are going to increase elevation or speed. You have 24/7 access to a wide content selection of classes so you can work-out or train at home on your own schedule. Convenient and motivating iFit trainers push and keep you going to get the results. Up to 4 separate users can track their own stats & goal hitting progress on the iFit dashboard. Learn more about iFit Coach. If you are looking at the Tread from Peloton, the Commercial X32i has more features like downhill runs and sled training. The iFit trainers are the best in the world and hold their in own in motivating and challenging you when compared to Peloton trainers. Or Consider the X22i Commercial Incline Trainer with the same features but save over a $1,000 with a 22 inch HD touchscreen. This is a tough machine built to last with a way better warranty than the Peloton Tread. Nordictrack is experienced in designing, delivering and setting up fitness equipment for the last 35 years. Who Should Buy a Commercial X22i ? Anyone looking to add a treadmill to their home gym or workout space should consider this machine. It is competitively priced for the features and comes with a powerful motor that won’t leave you wanting. The deck ( 22” x 60”) is a spacious, comfortable size that will support even the longest stride. People looking to lose weight and get fit will be able to burn up to 5 times the calories using the incline training option, a feature on the X22i that goes way beyond most other treads. It is a great time saver if you’re looking to get in shape or shred some pounds fast. Runners who are training for a race will benefit from the uphill and downhill options plus speed up to 12 mph. If you are going to use this machine daily, have multiple users and longer runs consider the Commercial X22i. It has everything a treadmill can offer and more with the professional iFit trainers who not only push you and keep your workout interesting along the way, but who also drop information about the selected destination. While in a studio class they are working just as hard as you are. The Commercial X22i is competitively priced, coming in at over $1,000 less than a Peloton Tread. The Commercial X22i comes with a lifetime frame and motor warranty, 6 year parts and electronics, and a 3-year labor warranty. Extended warranty is available. This warranty is significantly better than the Peloton Tread’s 1 year warranty on electronics, parts and labor with only a 5 year frame warranty. The incline option (up to 40%), on the Commercial X22i is a calorie burning feature to help you reach your fitness goals. Running or simply just walking up hill can seriously torch more calories in less time. This machine combines cardio with strength building with the Sled Push add-on expanding your workout options. You have access to streamed studio classes, beautiful destinations runs that are iFit Trainer led, and Google map options allowing you to fit in a real road training session on your schedule — all in your home. If you are looking for a treadmill as part of your weight loss and fitness goals, the Commercial X22i is a competitively priced, feature packed option. This is the top of the line treadmill from Nordictrack and it is built to get results and built to last supporting multiple users, distance runs, daily use. The uphill and downhill incline and decline will work all your muscles plus adds complete body workouts with the new sled push. The iFit trainers are a big added plus as they are professionals who have celebrity and professional athletes as clients and they bring personal coaching to your home motivating you to get results. They are engaging and you can select from a wide range of style and personality to match your preference or who motivates you best. It's pricey, but it adds a lot of benefits to make it a recommended buy. You can exercise all your major muscle groups in a single workout. Calculate the savings on cancelling gym membership and classes as the over 10,000 workouts in the iFit library will keep your workout selection endless. You also save drive time, inconvenient class schedules, gym germs plus you can workout on your own schedule at home. With the convenience of the versatile Commercial X22i you will hit your fitness goals! This is a definite buy.